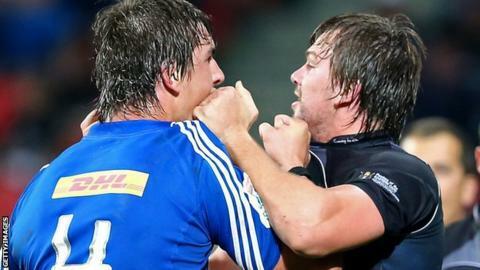 Scarlets have signed South African lock David Bulbring on a three-and-a-half year contract. The former Springbok Under-20s international, 26, most recently played for the Eastern Province Kings. Bulbring's immediate arrival is a lift for Scarlets, who are currently without locks Jake Ball and Maselino Paulino. "We're delighted to welcome David to the Scarlets ... to utilise his experience for the remainder of the season," said head coach Wayne Pivac. "Injuries have hampered us in that area of the pack in recent months and having a player of David's experience and high work rate join us at this all-important period of the Pro12 has a huge significance." Bulbring has significant Currie Cup and Super Rugby experience, having represented Golden Lions, Southern Kings, Blue Bulls and most recently Eastern Province Kings.